Beginning today, a new prime lens is available for the Leica T camera system – the Leica APO-Macro-Elmarit-TL 60 mm f/2.8 ASPH. Considered to be the reference lens in the APS-C segment, this lens delivers macro exposures with a reproduction ratio of 1:1 and impresses with best imaging performance. With this new addition, the lens portfolio of the Leica T camera system now offers a total of six lenses – including three prime lenses and three zoom lenses – that together offer a range of focal lengths for every photographic situation. The two fast prime lenses, the Leica Summicron-TL 23 mm f/2 ASPH. and the Summilux-TL 35 mm f/1.4 ASPH, are classic focal lengths for reportage photography. The APO-Macro-Elmarit-TL 60 mm f/2.8 ASPH. complements them ideally as a lens for finely detailed close-up photography. 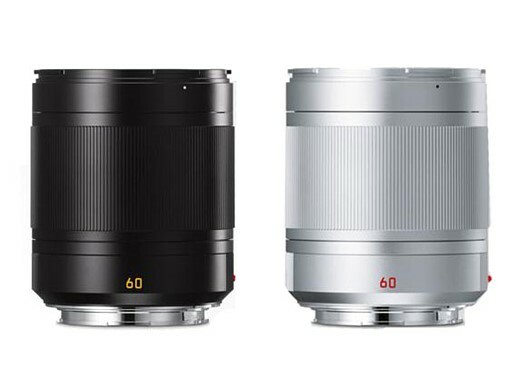 Finally, the three compact zoom lenses, the Leica Super-Vario-Elmar-TL 11–23 mm f/3.5–4.5 ASPH, Vario-Elmar-TL 18–56 mm f/3.5–5.6 ASPH, and APO-Vario-Elmar-TL 55–135 mm f/3.5–4.5 ASPH, cover an entire range of focal lengths equivalent to 17 to 200 mm in 35 mm format and deliver outstanding images with rich contrast from corner to corner of the frame.